A few months ago, my wife, Gayle, mentioned that BRE was coming up on its 50th anniversary. She asked if we should get our old team together again to celebrate the four major SCCA championships we won with Datsun. Not one to be deterred, Gayle reached out anyway. To my surprise, they responded without hesitation: Yes! Eight members of our original crew participated at the reunion, held this February at the prestigious and recently remodeled Petersen Automotive Museum. Event day started with a display of more than 60 amazing Datsuns, including two of the original BRE race cars. Podcast star Adam Carolla brought his beautifully restored No. 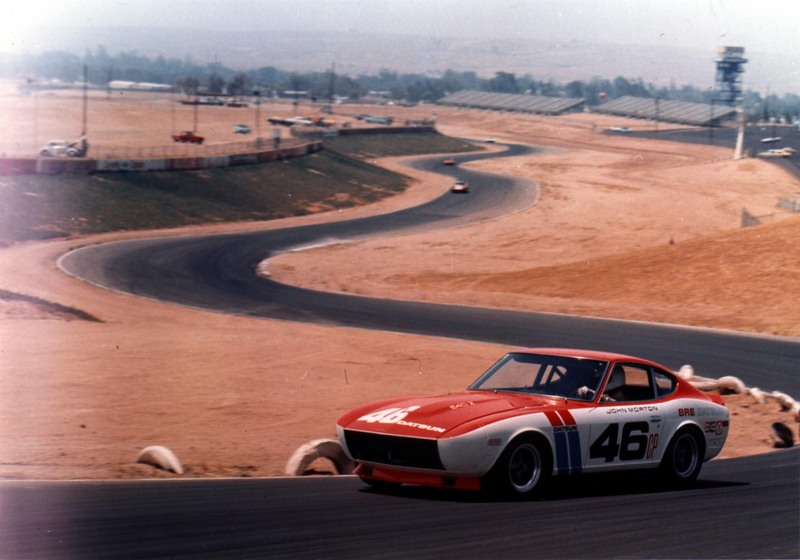 85 BRE “Bobby Allison” Datsun 510 Trans Am racer, while we brought a completely unrestored “barn find” BRE team car that ran in the ’69 Baja 1000. Randy Jaffe, who trailered from Georgia his perfect replica of the 240Z that John Morton drove to two CP national championships, won best of show. Class awards were given for Datsun roadsters, 240Zs, 510s and even pickups! BRE team members had a great time mingling with the crowd and admiring the handiwork of so many talented builders. By the time we started the panel discussion inside, there were over 1000 people in the lower main hall with standing room only! An interesting dynamic occurs when a great team like BRE gets together to share little-known personal stories with hundreds of fans. One team member who had joined as a teenage gofer recalled one of the BRE cars rolling off the trailer while he was delivering it to the paint shop. When he had to admit what happened, he was certain his BRE racin’ days were over. At the time, I just told him to get back to work. He gained further insight into my position when a pair of teammates shared a similar experience. After secretly “testing” a race car on a local highway when the track was closed to practice, somehow they too lost the car from a trailer. This time, they only noticed it was gone a few miles down the road! They drove back and amazingly found it untouched by the side of the road. After they loaded it up, a highway patrolman who’d witnessed the incident showed up. He was unamused. Neither crewmember had his driver’s license, so instead of getting busted for street racing, they went to jail and got the race car impounded. It was a Friday afternoon, but I managed to bail out my teammates and the car in time to make the race weekend– and win. The stories went on like that for a couple of hours, all the time filling the room with laughter and surprise. When we arrived for our autograph session, we found a crowd that filled the room and formed a line snaking through the museum doors and toward the street! After taking over 2 hours to sign everyone’s precious memorabilia, the crew went to lunch to share our present-day accomplishments. Mac Tilton owns the incredibly successful Tilton Engineering, which designs and manufactures racing components sold around the world. Trevor Harris, one of the world’s best chassis designers, is still working on state-of-the-art racing equipment. John Knepp, who founded Electramotive when we quit racing in ’73, is still going strong with the latest UAVs. 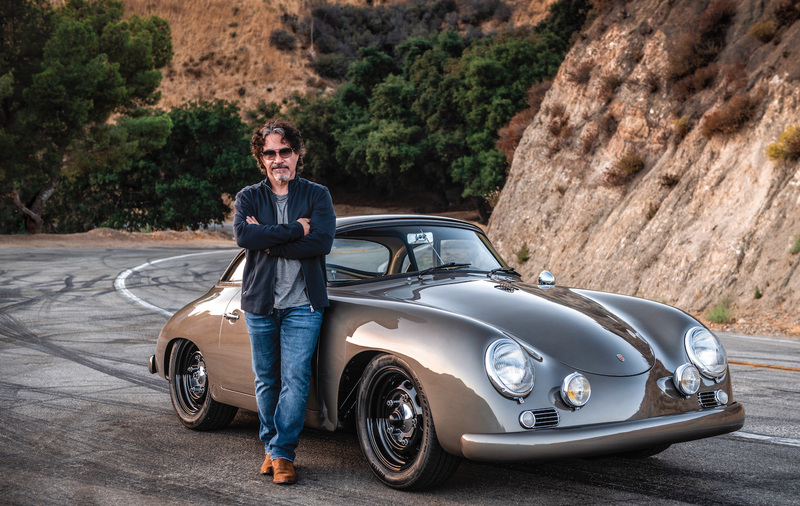 Joey Cavaglieri, who started at BRE when he was 16, has become one of the world’s top restoration experts for manufacturers and private collectors alike. John Morton, of course, continues to race and win with the finest vintage equipment in the world. BRE continues as well, having left SoCal for Henderson, Nevada, a place that reminds me of those heady days when the skies were blue and the roads were clear and innovation was the most important thing in racing.